A couple of weeks back, I was asked to attend and participate in a series of screenings that the Sundance Institute was doing here in Austin. It’s apart of a series the Institute has called Sundance Film Forward, which is a touring screening series that goes all over the world, and the program was doing a week-long tour in Central Texas. Monday and Tuesday night were here in town, while on Thursday and Friday night, the series will be in San Antonio, and if you’re in the area during that time and have nothing to do on those evenings (Don’t worry kids, the Spurs are playing late Friday night), I highly recommend you check out this really integral and fascinating program. Here’s a little recap of what I did Monday and Tuesday night. On Monday night, the first of two films to be screened was a film called Imperial Dreams. The film premiered at the 2014 Sundance Film Festival, around the time that I was up there, and won an Audience Award at the festival. 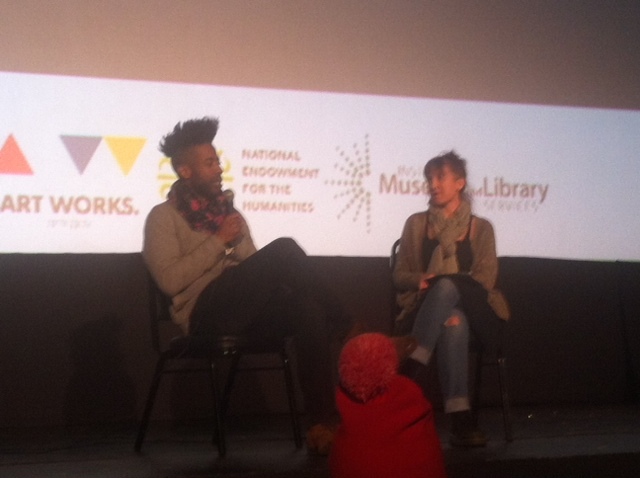 The film was co-written and directed by Malik Vitthal, who was in attendance at the screening and did a terrific Q&A with Kat Candler, and I’ll talk a little more about that later. Imperial Dreams told the story of Bambi, a recently released ex-convict who is an aspiring writer from Watts, a suburb of Los Angeles. Bambi is trying to get away from the crime that surrounds him, and all he has with him are his writings and his young son. Both live in Bambi’s car, which is parked outside of his friend’s home, as the two of them struggle in the neighborhood, as said gang violence happens all around them. 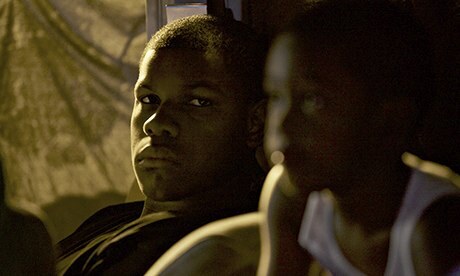 John Boyega, who audiences will know from Attack the Block and the upcoming Star Wars: The Force Awakens, plays Bambi, and the performance is easily the standout in this beautiful and heartbreaking tale of an area of L.A. that a lot of us haven’t really seen in the movies. We also get some great performances by Glenn Plummer as Bambi’s Uncle Shrimp, one of the films antagonists, and Rotimi as Bambi’s friend Wayne, whose trying to go to college and get out of the struggling Los Angeles suburb. You truly feel for the character of Bambi, who is a man who struggles to support his kid while his mother is in prison, and you can tell that Boyega gave it his all in this performance. I also applaud Mr. Vitthal for directing this film with grace and realism, without the film ever really falling into the cliches and pitfalls of similarly plotted films. After the screening of the film, most of the audience in the free screening stayed for the really terrific Q&A afterward with Ms. Candler and Mr. Vitthal. The director spoke about his inspirations behind the film, and how he had met a man who was in a similar situation some years ago and decided that he wanted to tell a story that was similar to this man’s life. The director also spoke about filming in one of more dangerous parts of Los Angeles and how he was able to handle and portray the environments and people in the film. Unfortunately, my recollections of what unfolded in the Q&A can’t do justice to what actually occurred at the Marchesa Monday night, but it was a terrific Q&A with the audience. They all seemed really invested and fascinated with the subject matter, and it lasted over half an hour after the film was finished screening. As I mentioned above, Imperial Dreams will be screening Thursday night in San Antonio, so if you’re in the area, I highly recommend that you attend the screening, and as I said earlier it is free. I’m not sure when the film will be released to the public, so if you really want to see the film, you should be at that screening Thursday, February 26th. The following night I attended the next film, which was a screening of the film Little Accidents, which also premiered during the 2014 Sundance Film Festival. 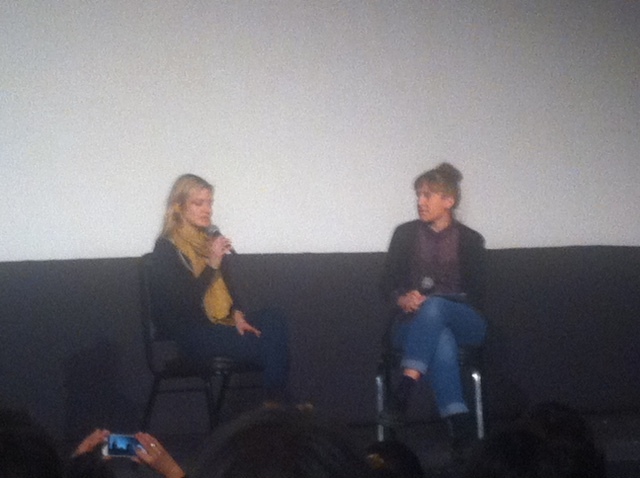 The film was written and directed by Sara Colangelo, who was in attendance for this screening, and this is her first feature film, which is a loose adaptation of her 2010 short of the same name. Little Accidents tells the story of a small mining town in West Virginia that has suffered a devastating and fatal accident in one of their mines. The only survivor of the accident is a man named Amos, whose played by Boyd Holbrook. Amos is the center of attention, which is something he doesn’t care to have, as he’s being pressured to testify against the mining company in a pending lawsuit against them for the mining disaster. We also have another story of a young boy named Owen, whose played by Jacob Lofland, who many of you may remember him from Jeff Nichols’ Mud. Owen has lost his father to the mining accident, and it’s just him, his mother whose played by Chloë Sevigny, and his brother with down-syndrome. During all of this, the son of one of the big bosses of the mine goes missing in the woods, with his mother, played by Elizabeth Banks, and his father, played by Josh Lucas, lead a hunt to find the kid and bring him back. What makes this all come full circle is that Owen may know a thing or two about how this kid went missing. The film, similar to Imperial Dreams, is a heartbreaking tale, and presents its story in a setting that not a whole lot of people are used to seeing on film. The only example I can think of 2013’s Out of the Furnace. What I really admire about Little Accidents is that it does a terrific job of portraying this very tiny community as they try to find this boy, but the film switches focus constantly from Amos to Owen and then to the family, and really fascinating to see each side of this story and how they react to everything that happens around them, from the accident to the disappearance of this boy. Elizabeth Banks does some of her best work in the role of Diana, the grieving mother, and Josh Lucas, an actor whose always been criminally underrated, is terrific as the father. Boyd Holbrook is really terrific as well, along with the young Lofland, who gives a really authentic and sad performance. The post-screening Q&A similar to the one with Mr. Vitthal was again a terrific one due to audience participation and investment with the film and what Ms. Colangelo had to say about the material and the film itself. I never asked any questions for any of the screenings as I just sat back and listened to the really terrific dialogue that was going on between filmmaker and the audience itself. Ms. Colangelo discussed how her short Little Accidents differed from the feature film adaptation, with the short taking place in Massachusetts and being radically different from this feature, but still keeping that small town vibe of the feature. She also discussed the amount of research that she went into the history of coal mine accidents in the state of West Virginia (which is unsurprisingly high in the state) and how the communities would cope and deal with incidents. Again, I can’t quite do justice to what happened in that Q&A, which is why if you’re free Friday night and are in the San Antonio area, you should go see the screening that Sundance will be doing of Little Accidents. In the past couple of days, I’ve realized that the Sundance Film Forward may be one of the most important traveling film programs in the country. They screen films about life that most of us aren’t too familiar with, and there are these incredible audiences that come into these screenings that are genuinely interested in the film and this material, and not just because they’re free movies. To whoever may be reading this, if the Film Forward series is ever in your community for a week, I don’t think I can’t begin to say how much you should go to these screenings. You watch and discuss these really terrific films that most of us didn’t even know existed, and not only do we get to watch and enjoy these small but powerful movies, we also get to see the world through the eyes of people that we never really think about. That’s why the Sundance Film Forward program is so important, and I thank them for letting me apart of it for the past couple of days. February 26, 2015 in 2015 Film Reviews, Film Fest Coverage, Movie Reviews, Sundance Reviews.